There are many schools of thought about how to learn new skills by making them a habit. 30 days is a great time frame to learn a new skill, change a habit, or better yourself as it starts from nothing and by the end can create a great impact on your life. Using an example of learning Spanish, to say your goal is to hold a conversation is a large daunting task. However, listen to one audio book chapter a day for thirty days is much easier in your mind. Taking the first step is always the hardest. An essential next step is to CROSS IT OFF EVERY DAY. Get a list, write down Day 1,2,3,4,5 etc to 30. And cross it off everyday as soon as you do the activity. Feel like you don’t have the time, do 10 minutes or whatever. Different challenges take different length of time. 1. Do a Set number of press ups everyday – Pick a number that you feel comfortable with achieving. This will give you a confidence boost and get the heart pumping. If it starts to get easy increase the number. Need a hand follow the 100 push up challenge (Gets you from 0 to 100). 2. Read More – Read 1 Chapter a day – Reading relaxes you, and you can learn a new skill. 3. Get outside for 10 minutes a day – Walk to the shops, take a break. Recharge your brain before sitting down and working again. More valuable than it sounds. Combine this with reading. 4. Write a to do list – Get your goals out in the open, however trivial or huge and life changing. Think about what you would like to do. A small change in your life can make huge steps down the line. Think, and enjoy. Get that list wrote! This entry was posted in Readings and tagged 30 day challenge, challenge, learn new skills, lists, motivation, self improvement on March 12, 2013 by Lewis. So today while I sit in the comfort of my apartment, checking my email, like most of you will / have done, spare a thought for two of my best friends Will and Jim Hardy who have started day one of the Marathon Des Sables aka the MdS 2012. 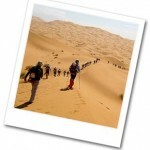 6 marathons in 6 days across the Sahara Desert. Oh, and you have to carry your things too, just in case the original challenge was too easy. 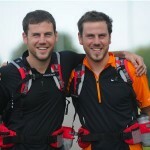 The twins are doing it in aid of the MS Society (multiple sclerosis), and are trying to reach £8,000 in sponsorship. 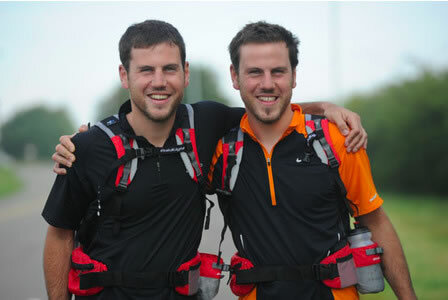 So if you too think they are crazy, or it just makes you tired just thinking about running SIX marathons in that short of time in 35oC heat with a backpack, then please donate £5 to them, US/Canadian citizens can also donate. Thank you and good luck boys! 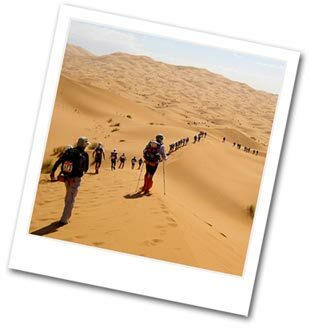 This entry was posted in Readings, Travel and tagged marathon des sables, mds, mds 2012, ms society, will and jim hardy on April 8, 2012 by Lewis. Here are some superb inspirational quotes by JD Hooge speaking in Portland Oregon, USA at a Creative Morning’s event. Be Honest, build trust, Be honest – This is essential not just in life but in business. If you have a company that sells something, as soon as you stop doing this you are finished unless you change quickly. In the early days of Google they are said to of had on the wall in their offices, “Don’t be Evil”. Begin Anywhere – it is the hardest part of any journey. Whether you are going to cycle across the world, or you are trying to get motivated on the next project. Writ down the next step, and do it. Sounds simple but it is essentially the hardest part of any task. If you want to read more into this, then I recommend buying Getting Things Done by David Allen. He is the master of this philosophy, and he is a really genuine guy. He has worked with most of the Fortune 500 companies so he really knows his stuff whatever level you are at. If you click on the following links and buy you are supporting this website, and I thank you for it. it does not affect the cost to you in anyway. This entry was posted in Quotes, Readings and tagged creative mornings, david allen, getting things done, inspiration, jd hooge, kindle, quotes on March 13, 2012 by Lewis. Looking for motivation on life itself and leading a good life.. This entry was posted in Quotes and tagged Antoine de Saint Exupery, inspiration, motivation, Neil deGrasse Tyson, quotes on March 1, 2012 by Lewis. This entry was posted in Readings and tagged inspiration, quotes, readings, think on January 22, 2012 by Lewis. Starting a company is like starting a fire—harder than it sounds, and you have to do things in the right order. To start a good fire, you need kindling. Something that will catch easily. You can fail if you have great logs to burn but no kindling to get them started. On the flip side, if you only have newspaper and dry twigs, you’ll be off to a quick start, but your fire won’t last long. There aren’t many fuels that start easily and burn hot and long. So starting with kindling and then transferring the heat to something bigger is key. Also, lighter fluid helps—but only for a short while and only if applied at the right time. Be careful. This entry was posted in Quotes, Readings and tagged business, evan williams, kindling, motivation, quotes, readings on January 13, 2012 by Lewis. I was sent this video the other day entitled “2009-2011 Reflection”, by Paper Fortress. The guys name is Stebs, and is from America. He has got a real talent for getting a very clean artistic shot, so check out his other videos. However this video is a subtly inspirational video that brought a smile to my face due to the message and the qulaity and variety in the shooting. If you enjoyed this video let us know in the comments below! Seen any similar? This entry was posted in Videos and tagged human experience, inspiration, paper fortress, quotes, reflection, video on January 13, 2012 by Lewis. Sorry for the lack of posts for a while. I have been very busy with projects. However this came across me. 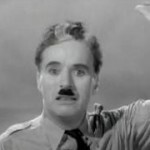 It is from the Charlie Chaplin film The Great Dictator. The film is a spoof of Hitler and was released while World War 2 was still on. Over 70 years ago but it is even more relevant today than it was then. This video has been powerfully mixed in with the soundtrack from Inception called Time by Hans Zimmer. I have included a transcript of the final speech below. The film is a masterpiece and is well worth a watch. This video is an alternative version which mixes in alternative video. It is good also but Chaplin’s performance should not be missed. The great comedian speaks the truth. This version of The Great Dictator speech features the song Window by The Album Leaf. This entry was posted in Quotes, Videos and tagged freedom, inception, inspiration, the great dictator, the great dictator final speech, transcript, video, world view on January 3, 2012 by Lewis.